Months after fending off allegations of being a tax haven for brands like Google, LinkedIn and Facebook, and inadvertently siphoning $100 billion annually off U.S’ and Europe’s tax coffers, Ireland has recently introduced a new Finance Bill. In a move that is meant to appease its angry neighbours, Irish Finance Minister Michael Noonan pledged that Ireland will cooperate with “solving” global tax challenges, instead of being a part of the problem. Most saliently, under the new Bill, a company that has been incorporated in Ireland cannot be deemed stateless for tax purposes. It will instead be deemed as an Irish tax resident. This amendment will affect corporations that have set up Irish registered companies but are managed and controlled in an EU member state or a country with which Ireland has an Avoidance of Double Taxation (DTA/DTT) treaty for example, the US. In particular, it will hit companies that have incorporated in Ireland in order to take advantage of former tax loopholes and in turn benefit from tax strategies called the Double Irish or Double Irish (with a Dutch Sandwich). The move to greater transparency has been set in motion after the worldwide financial crisis of 2008-9. In a bid to improve its bilateral relations, Singapore too has last year shared a list of suspected tax evaders with the tax authorities in India, following the release of the “White Paper on Black Money” by the Indian financial authorities. In short, the Double Irish (with a Dutch Sandwich) involves moving profits across an Irish subsidiary to a Dutch subsidiary company and finally to an Irish subsidiary registered in zero tax jurisdictions such as Bermuda or the Cayman Islands. By moving the payments through the Netherlands, companies avoid the 20% Irish withholding tax. However, after 2008, when the withholding tax on profits was scrapped, corporations with Irish subsidiaries could move royalties to offshore tax havens more easily. Through the Double Irish technique, a company could move its European sales profits through an Irish subsidy, which in turn pays royalties to another Irish company for intellectual property rights. According to a Bloomberg report, ‘Man Making Ireland Tax Avoidance Hub Proves Local Hero,’ Google managed reduce its global income tax bill by a whopping $2.2 bn in 2012 by tapping the Double Irish technique. Other tech giants have followed suit by assigning intellectual property rights to their subsidiaries. In addition, Ireland offers generous tax credits for research and development (R&D) as well as intellectual property registration. For example, Ireland’s R&D tax credit provides an effective corporation tax deduction of 37.5% on certain R&D spend. Feargal O’Rourke, the man behind the tax strategies, opined that the Double Irish will disappear as the OECD (Organization for Economic Cooperation and Development) cracks down on tax avoidance worldwide. Analysis by Rikvin shows that the move to greater transparency has been set in motion after the worldwide financial crisis of 2008-9. 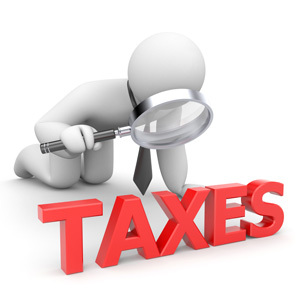 In a bid to improve its bilateral relations, Singapore too has last year shared a list of suspected tax evaders with the tax authorities in India, following the release of the “White Paper on Black Money” by the Indian financial authorities. In addition, in May this year, Singapore has pledged its commitment to international tax cooperation and to combat cross border tax offences. Among the measures taken, Singapore will comply with the Foreign Account Tax Compliance Act (FATCA) in July 2014 in order to continue having access to US financial markets. As mentioned by Mr Satish Bakhda, Head of Operations at Rikvin, the measures indicate that Singapore is keen to maintain its high standards of financial integrity to safeguard legitimate funds. This would in turn compel more bona fide firms to set up operations in Singapore.